After Harry Potter and Twilight, carving two films from the final book in a series has become an unwelcome Hollywood trend. And so it goes with The Hunger Games, which stretches the last book in Suzanne Collins’ dystopian YA trilogy into a two part finale that will conclude in a year’s time. Still, on this evidence, Mockingjay merits the split – it perhaps even gives some balance and rhythm to a story that might’ve felt rushed were the events crammed into a single movie. Picking up where Catching Fire left off, Mockingjay – Part 1 takes us back to Panem, where revolution is stirring against the totalitarian Capitol and its leader President Snow (Donald Sutherland, deliciously vile as ever). Groomed as the figurehead for the rebellion, Jennifer Lawrence’s heroic Katniss has been transported to the underground District 13, where she’s championed by the savvy Plutarch (Philip Seymour Hoffman, in his final role), despite misgivings from the leader of the uprising, President Alma Coin (Julianne Moore). 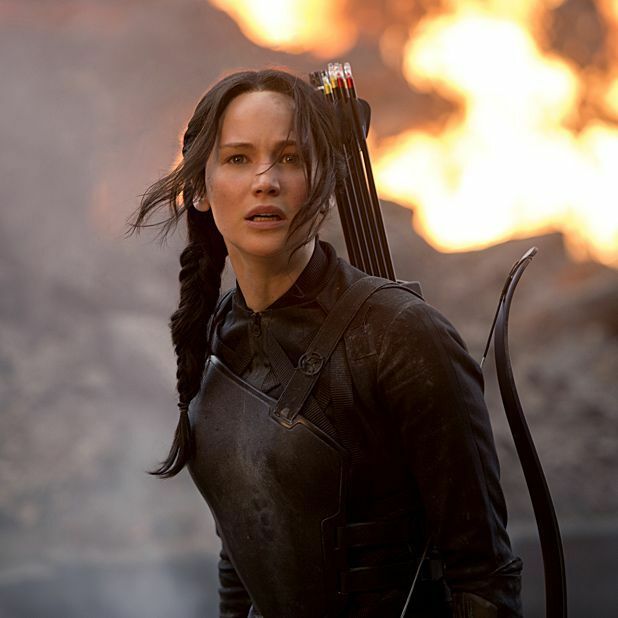 As Katniss gradually finds her voice, with the help of some new friends – including Natalie Dormer’s shaven-headed filmmaker rebel – her on-off romantic interest and fellow Hunger Games survivor Peeta (Josh Hutcherson) is coerced into denouncing the rebellion on television, which finally gives Hutcherson something more interesting to play with. Indeed, with the exception of Liam Hemsworth’s still short-changed Gale, most characters get their moment. Put that down partly to director Francis Lawrence who's more assured than he was on Catching Fire, which sometimes felt like an uncomfortable bridging episode. Here, he confidently balances the action and politics, while maintaining a muted tone that ranges from the humour to the costumes. While Jennifer Lawrence undoubtedly, and rightly, remains the star, the older actors (Elizabeth Banks, Woody Harrelson and Stanley Tucci amongst them) are also pleasures to watch in this strange, yet still relevant universe. For fans, next year’s final instalment can’t come quickly enough. General release from Thu 20 Nov.